For those who have done business with papaiyacoffee then I have news for you! This is a terrible day for Allinia and I.
I'm very sorry to everyone!! FCS & Random + Yawaraka GAs final payment! But here it is, the final payment for both the FCS and Random GA plus the Yawaraka GA! For the FCS and Random people, there are quite a few extras up for grab! One and only reminder for the Shining Cards GB Reminder! ^^ 5 of 9 cards have been claimed. ONLY 4 LEFT! Registeel, Deoxys, and the 2 Celebi still need claims. Doesn't anyone want to add these shiny cards to their collection? XD! Update! Only Registeel and Shining Celebi need claims! Since no one seemed interested in Registeel, I went ahead and sent the seller an offer without it...and they accepted! So WE WON! EEE! Really hope this works out. Mew is a birthday present to myself. lmao. So this post isn't entirely a GB Reminder. 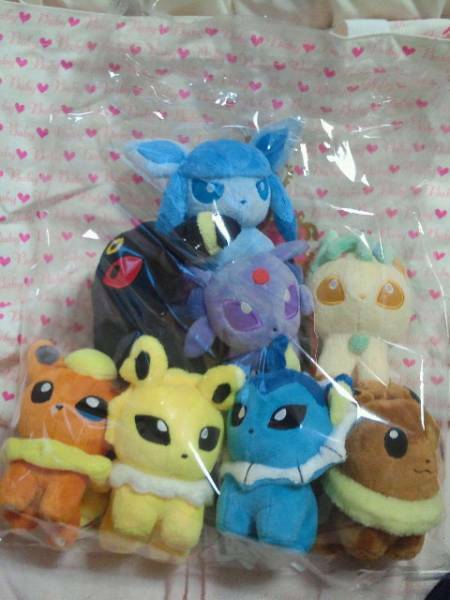 I'm excited because I will soon have plush of all the Eeveelutions except one! I never thought this would happen. lol. I'm still looking for one of Leafeon. I'm hoping for the UFO (if one exists?) since I got the Glaceon one for about $26shipped. Also, how many people out there are interested in TCG wrappers? I recently came across some really old ones (Fossil...Jungle...maybe some Base (don't remember). I'm planning on selling/trading them over my Spring break (which starts March 1st). Should have more for sale, auction, and TCG trades during that week as well. Another stamp GB + Long lost siblings? I am doing another stamps Group Buy! - This time, each of these will be 2.67$ for each of these! I am claiming the Serperior stamp, Scrafty stamp and the ink pad with starters! - If it happens that we might not get enough claims, I am always willing to claim some of the rest like last time! This a very cute ACEO art I have gotten as a Christmas present (if I remember correctly) from shinygolurk! I have pretty much thought that these must be siblings...a big brother and a little sister. karoia told me that it's what it was meant to be of course! So what did happen? And the second package I got! Thank you for reading as always! Should be my last post for a while hopefully, haha! Jumbo Card, promo card, and figure behind the cut! A lot of new cards in my card sales! I ALSO HAVE A QUESTION, dear comm members! Does anyone have any kind of list (a picture list or montage or something would be fabulous) of all the Mewtwo cards in existance? 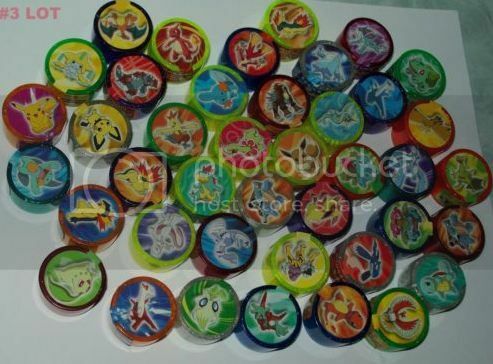 My friend is in the process of collecting them, and a checklist for us would be fantastic. Thanks! Hey there guys... Yesterday a package arrived with type focus goods and something else, a Shinx Canvas Plush. But I'm somehow not really digging it D: Guess I like the 2009 version better after all. So yeah, I'll sell it if anyone has interest. Sales permission was granted by Dakajojo on 09/25/11 btw. I'm looking for 35$ shipped for it, be aware though that the hang tag has quite a few creases, they haven't damaged the printing though. The Pichu tin is also for sale, I'm looking for about 15-17$ shipped for it. If anyone has interest, please let me know. So regarding my wants, there's only 2/3 things I'm looking for. I'm looking only for items with their hang-tags although I don't mind if it's detached. A few tiny creases are okay as well, but they shouldn't be too noticeable :/ Thanks for watching! Found this lot and thought itd be fun to do a GB. These are priced at $1.38 each! First come first serve basis and please be ready to pay once all are claimed! Um... First ever collection post! I don't have much by ways of Pokemon stuff, as I collected most of it a long time ago as a child ;w;. So... Without any further delay, here's what I have so far! Hey all! Just a simple wants post; I'll have something to really update about in a few weeks, looking forward to some items coming in. I may have to do a reintroduction at some point too considering I've been gone so long, but regardless! If you have it..name your price and we can haggle? I haven't had a new Zukan in so long; I forgot how lovely they are to receive. This one is also very nice beautifully painted! I am always interested in Sigilyph and Desukarn(cofagrigus) items I don't own. That's it for now! Short and simple. Edit: I got the plush! Thanks for the tip in where to pick it up I got a good discount. <3 Still looking for other general items so I'll leave this up. I just wanted to show off my cards I got a while ago. Your probably saying "What?! Milo doesn't collect cards!" 100 Figure GA is in :3. 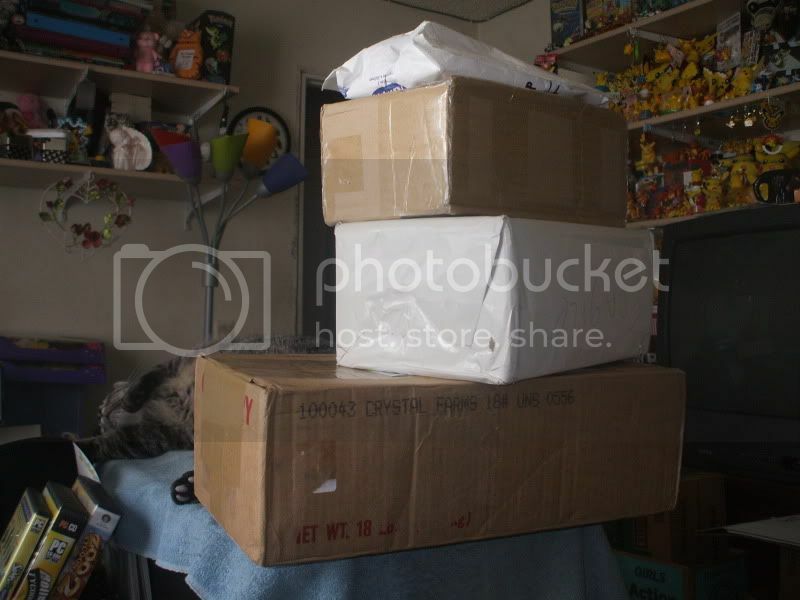 Yaay Packages :3,I wasn't expecting it for another week <3. I will be taking everyone's packages to the post office tomorrow so let me know if there is anything you want to add :3. Most of the figures had small nicks in the paint :). Look at this neat book I found :3,it has some really cute and unique art.There were 5 left so I could pick them up if anyone's interested for 10+shipping and also ask if they have more.